Poor thing…. Saint Trinian has been chasing him all over the house since I began working on him. It’s not that my girls don’t like boys, they’ve just never seen one before! 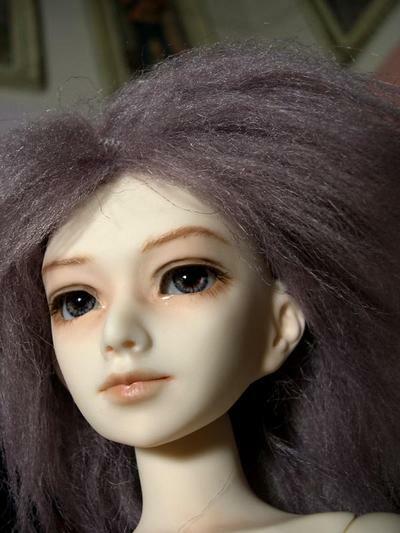 Thanks be to commissions from Mercy I get to play with the awesomest of dollies w/ the natty naughty optional parts. Click below for NON-WORKSAFE grabby hands piccies. While I was at it I painted St. Trinian’s winky lusis face finally! She got a fresh new look with rosey apple cheeks. She’s wearing the 10mm Volks acrylic eyes! I bought them in all kinds of colors. They’ll work for liebchen too, btw. Finally! I’ve been wanting to see the “optional part” I’ve just always been lead to photo links that were down. He looks great though! Nice work as always! OMG cutest thing ever! He looks mortified, she is such a tease! Love the job you did on him and St Trinians winky plate is gorgeous! whoa! lol finnaly who is well endowed! 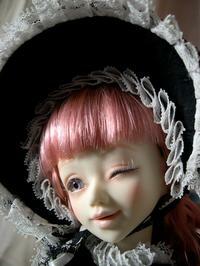 XD were can you get this doll?! this is a first doll like this so far! Previous Previous post: Just watch it. Next Next post: Blastmilk Notifications!